We've all had the tremendous need to make absolutely sure everyone within earshot knows what we are listening to. 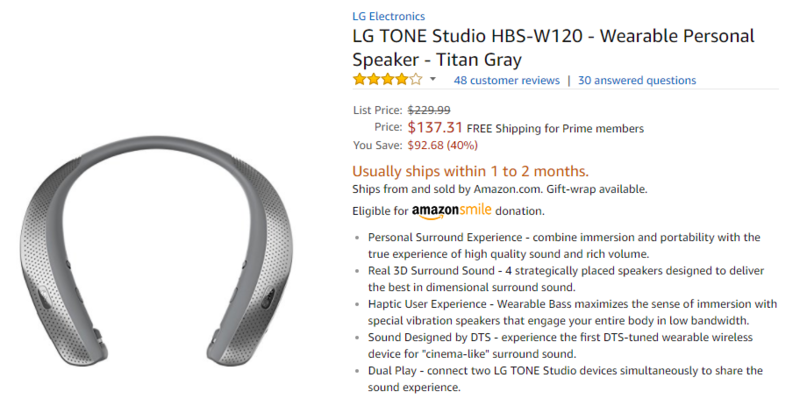 Well, right now you can fill that void by picking up the LG Tone Studio not-quite-headphones for $137 over at Amazon. We've caught the price drop on these three times before, but this is the lowest we've seen them at yet. It's such a hot deal, in fact, that it looks like Amazon blew through their available stock. You can still place an order, but it might not be fulfilled for a while. The current shipping delay is set somewhere between 1-2 months, which is a number you usually see when Amazon doesn't have any of the items left in their US warehouses. Sometimes that window ends up being an overestimation, but sometimes it isn't, so mind the potential delay. 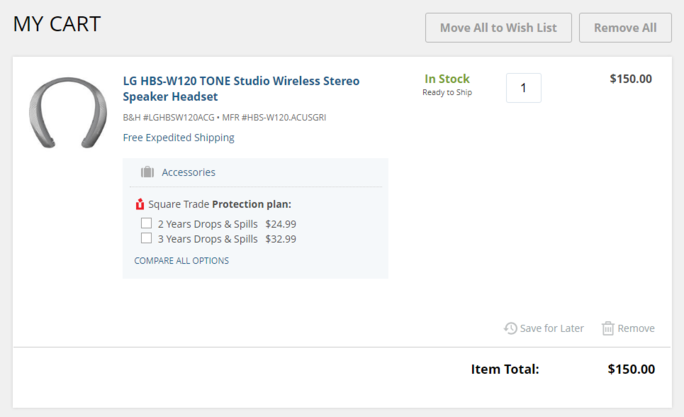 If you're after the best possible deal, this is the cheapest we've ever seen for the personal speakers. If you are interested in picking up a set right away, B&H also has it available now for $150, which is almost as good, and still cheaper than the last time we saw it. However, that price won't show up until you actually add the item to your cart.